Viet Stories: Vietnamese American Oral History Project at the University of California, Irvine actively assembles, preserves, and disseminates the life stories of Vietnamese Americans in Southern California. The project contributes to expanding archives on Vietnamese Americans with the primary goal of capturing first generation stories for students, researchers, and the community. Launched in 2011, Viet Stories is housed in the Department of Asian American Studies in the School of Humanities and collaborates with the UCI Libraries Southeast Asian Archive. There are nearly two million Vietnamese Americans in the United States, with the largest concentration of Vietnamese residing in Southern California. Since the 1970s, Vietnamese Americans have dramatically transformed Southern California’s demographics and landscape and this project aims to represent the diversity of their experiences. Our objective is to capture the oral histories of first generation Vietnamese Americans who have memories of life in Vietnam, the Vietnam War, and the displacement and resettlement of refugees from Vietnam. Viet Stories plays an instrumental role in documenting their histories and legacies in order to preserve their stories for future generations. These recorded life stories (audio and video) include Vietnamese and/or English-language transcripts of the interviews, brief summaries, time logs, and photographs of narrators. Some narrators have also contributed additional materials such as their own photographs and documents to be preserved with their stories. Aligned with the purpose of training future generations of leaders, faculty train UC Irvine students to conduct oral histories in their courses, such as in Linda Trinh Vo’s Research Methodologies /Field Research class and Tram Le’s Vietnamese American Experience class. These comprise a number of the “sub-collections” within Viet Stories. 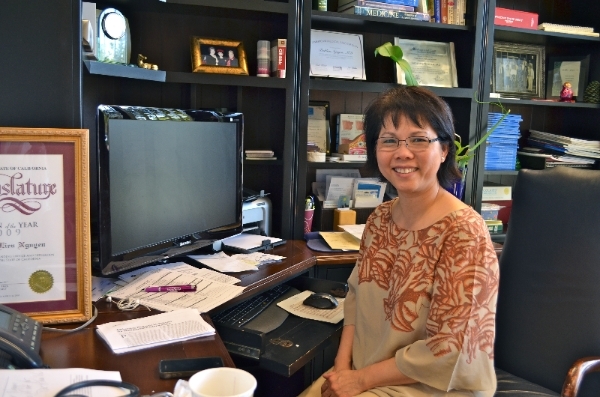 Dr. Linda Trinh Vo is the Director of Viet Stories and Professor in the Department of Asian American Studies. Tram Le is the Associate Director of Viet Stories. Viet Stories Advisory Committee members include Dr. Vicki L. Ruiz, Professor, Department of History and Chair of Chicano/Latino Studies; Dr. James Kyung-Jin Lee, former Chair and Associate Professor of the Department of Asian American Studies; Dr. Thuy Vo Dang, Archivist, Orange County and Southeast Asian Archive Center and Inaugural Project Director for Viet Stories (now titled Associate Director); Audra Eagle Yun, UCI Libraries’ Head of Special Collections; Christina J. Woo, Research Librarian for Chicano/Latino Studies, Linguistics, Women’s Studies, and Athletics; Rina Carvalho, Department Manager, Department of Asian American Studies; and Daniel Do-Khanh, Esq., former President, Vietnamese American Community Ambassadors (VACA)-UCI alumni chapter. 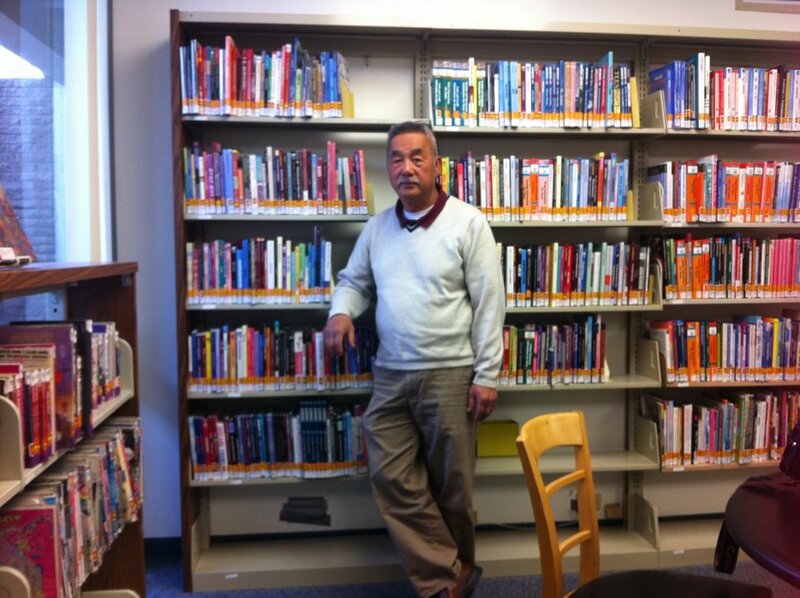 Viet Stories is grateful for assistance by multiple staff from the UCI Libraries, including Mark Vega, Programmer, and Sylvia Irving, Graphic Designer. We wish to thank Michelle Light, formerly UCI Libraries’ Head of Special Collections, and Matthew McKinley, former Digital Projects Specialist, for their contributions to the digitalization of the interviews as well as Caroline McGuire and Kasey Ning, former Department Managers, Department of Asian American Studies. If you would like to learn how you could volunteer for this project, to recommend an individual whose story should be preserved, or would like to know about how you can collaborate with Viet Stories, please contact Tram Le at vaohp@uci.edu. Viet Stories is supported by generous donations from individual donors and foundations. We welcome your donations to sustain and expand our collection.